Chairman of the Mid-Atlantic Region and Head of Corporate Responsibility, JPMorgan Chase & Co.
Peter L. Scher is the JPMorgan Chase's senior executive in the Mid-Atlantic region—now representing the third largest economy in the United States—with commercial banking, asset management, and investment banking offices throughout Virginia, Maryland, and the District of Columbia. Scher also oversees Government Relations and Public Policy, Philanthropy, Sustainable Finance, Nonprofit Engagement, and the JPMorgan Chase Institute. He is Chairman of the JPMorgan Chase Foundation, one of the largest corporate foundations in the United States. He has led the development of a number of the firm’s flagship programs, including the $150 million investment in Detroit’s revitalization. Fortune Magazine highlighted the impact of the Detroit investment in ranking JPMorgan Chase No. 1 on its 2017 “Change the World” list, which recognizes companies that have had measurable social impact through activities that are a part of their core business strategy. In 2016 and 2017, Scher was named by Washington Life Magazine to their list of the 100 most influential people in the U.S. capital region, noting his years of experience in navigating the intersection of business and the public sector. 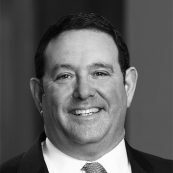 Scher serves on the Board of Trustees for American University and the Brookings Institution and the Board of Directors of the Greater Washington Partnership and the Economic Club of Washington, D.C. He is a member of the Council on Foreign Relations and the Atlantic Council task force on EuroGrowth.